Is Mahinda Counting On Extremists To Help Him Win (Again)? When I began this column, over seven months ago, I did not think that the threat to President Rajapaksa would come to fruition quite so quickly. Until the incidents at Aluthgama, I thought it unlikely that anyone would be able to defeat him in a Presidential election. After that I thought any reasonable candidate would probably win, if there was unity in the opposition, but it seemed unlikely that that would be achieved. And after Uva, when it seemed that the government was on a slippery slope, I assumed Mahinda Rajapaksa would have the sense to back down if he was unable to make the few simple reforms and tough decisions that would have restored his popularity. But he failed to do so, perhaps because vast funds had been spent and there would be nothing left for the sort of propaganda blitz he was planning if the election had to be postponed till 2015. So it is likely that he will soon be history. Fortunately he has an opponent who will safeguard his position in history, and make sure that his victory against terrorism in 2009 will not be forgotten. He then has little to lose, if he is willing to accept defeat gracefully. The same is not true however of those who have profited from his Presidency, and I suspect they will use every trick in the book to cling to power. But even they are running out of tricks, and by now they have begun to realize that the hammer and tongs approach they had decided on simply will not work. Thus, though Temple Trees is full of visitors who are sumptuously treated, everyone now knows who is paying for this, and many of the invitees, who would rather not waste their time on long journeys, are even less likely to vote for the President. Certainly, though they may be more sophisticated than most, and to generalize from them would be dangerous, colleagues at university have affirmed the need for change, and their disgust at being forced to have dinner at short notice with the President. But in such a context I fear that the bright sparks who control the President may decide to go further afield, in their determination to win somehow. My suspicions about this were roused when, following the efforts of the President to claim that I had been supportive of the GTF, the GTF began to be critical of the UNP. This was done by the same Suren Surendiran whose claims about war crimes the President declared I had agreed with. That was complete nonsense, and either the President had been misinformed, or else he has decided that he does not need to distinguish between truth and falsehood in his determination to stick to his original plan for winning the election. That, on the assumption that Ranil Wickremesinghe was going to be his opponent, was to present the latter as soft on the Tigers and affirm his own genius in defeating them, and claim that Ranil would help the Tigers to take judicial action against him if he lost. But while some of the more dogmatic amongst the Tigers might dream of this, even they realize that this is not likely to happen if Mr Sirisena wins. And the more subtle amongst them know that their best bet for the future is another Rajapaksa Presidency, and the implosion of the state that will then take place after the report due in Geneva in March 2014. Not only will our sovereignty be at stake, but there will be pressure for economic and travel sanctions against us, and not all the huffing and puffing that Wimal Weerawansa will engage in will prevent a plethora of internal problems. In such a context, separatists will start stirring, and the sensible people in the TNA will be pushed aside, on the grounds that there is no hope of a negotiated solution. If the President Rajapaksa who had pledged such a soluation was not able to deliver when he had a massive majority in Parliament, he will certainly not move when he is further in the clutches of those who understand neither political principles nor international realities. So I can understand why Suren Surendiran is now highlighting the racism of the UNP in the past. 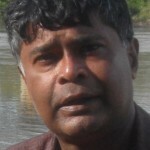 He uses what I have written and tweets that ‘Rajiva admits state violence was really begun by UNP’. This suggests he would quite like it if the people of the North thought twice about supporting the common opposition candidate. 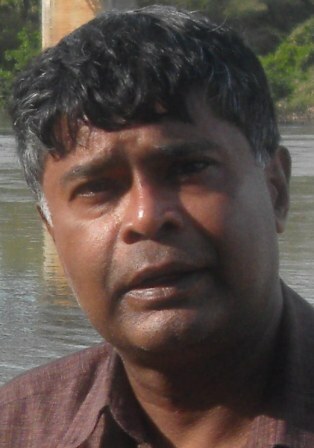 I hope Surendiran will be more sensible, and realize that the diaspora must give up their dreams of Eelam and war crimes prosecutions, but rather work together with moderate Tamils and Sinhalese (like the Northern Chief Minister and the bulk of the SLFP as represented by Maithri, along with his coalition). That will help us reach a political solution that ensures National Security, and the primacy of National Policy, whilst allowing for decisions about development and social services to be taken by those affected by those decisions. But it is apparent that some of the more extreme elements in Tamil politics are anxious to stop Maithripala winning, so that their dreams of international intervention will be fulfilled. Media outlets which have not subscribed to the more moderate approach of the mainstream Tamil National Alliance are critical of the opposition alliance for a range of reasons, and I suspect they will push this line in the next few weeks. All this fits in with the claim that in 2005 the Tigers ensured there was a boycott of the election so that Mahinda Rajapaksa would be elected. That strategy failed, because Mr Prabhakaran erred in being confident then of his military prowess, and thinking he could provoke the government into a war that he would be able to win. The war did happen, but when government was ready to respond, after the six months Sarath Fonseka asked for to prepare his forces, and we have to be thankful that Mahinda Rajapaksa took on the challenge then, that his Secretary of Defence and the commanders of the forces worked out an effective strategy, and that he was able to deploy excellent diplomats to hold international interference at bay. But those few who still dream of a separate state no longer rely on armed force. Rather they know the battleground has shifted to the international arena, and they will concentrate on weakening the state. To such a strategy Mahinda Rajapaksa has no answer – given that, as his virtual Chief of Staff, Sajin Vas Gunawardena put it, he has no strategy at all, and changes his approach at random. Certainly with his frontline now being manned by Kshenuka Seneviratne and Sajin and GL, we can anticipate only disaster after disaster. The few extremist Tamils, in the diaspora and here, will not mind that their goal will involve much suffering in the short term for the Sri Lankan people, both Sinhala and Tamil – and the Muslims and Christians too, given that the Bodu Bala Sena will be at the heart of decision making if Mahinda Rajapaksa wins through an emasculated Sri Lanka Freedom Party and without many votes from minorities. Given their claim that the JHU has not done enough for Buddhism, there is no doubt that the BBS will demand their pound of flesh. Promoting that was I suspect the strategy of those who have done so much to alienate the minorities, culminating in Sajin Vass Gunewardena’s gratuitous attack on Catholicism in beating up Chris Nonis, and the insults to Joseph Vaz in the pronouncements of the favourite columnists, at least until recently, of the Ministry of Defence. If then the Tamils in the North fall for the wiles of the more extreme elements in the GTF and their own media, we will have a very polarized situation after the election. That will be perfect for mischief makers, but it will be disastrous for the country. Sadly, given the desperate need to cling to power of those in charge of the President’s re-election bid, they will not mind that so long as they can continue in their merry way. So we might see a repeat of the strategies that led to so much support for Ananthi Sasitharan in the Provincial Council election, whereas the Tamil people generally supported moderates such as the Chief Minister and Mr Sidharthan of PLOTE. Typically, Ananthi has claimed that ‘people in the North do not have any hopes in both presidential candidates’, which is simply not true. Those I met in my recent visit there had great hopes in Maithri, even without any commitments, for many of them were fundamentally anxious for democracy and change. They, like us, believe that once we have got rid of authoritarianism, there will be no barriers to discussions based on sympathetic understanding of problems on all sides. That is what the extremists in both the North and the South wish to prevent. The moderates who are the vast majority in this country must work together to overcome that destructive strategy. 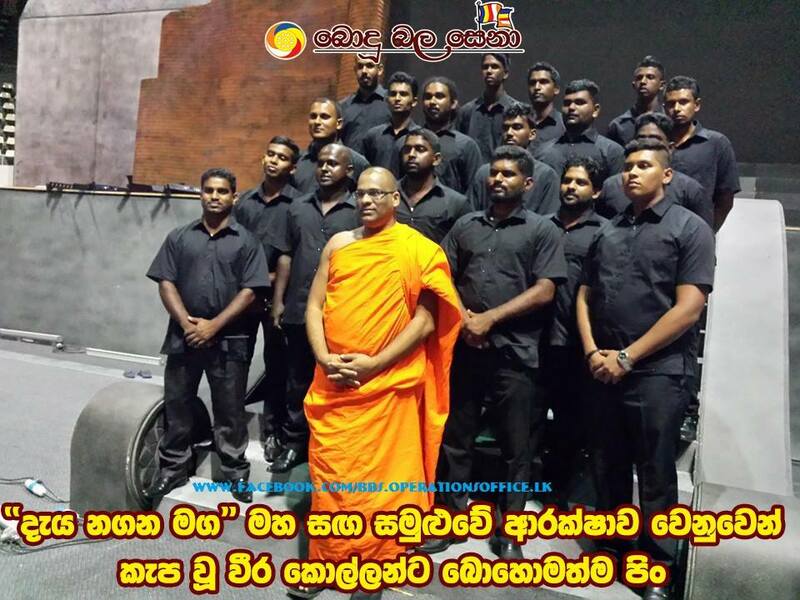 Mangala “Samayang” Samaraweera Strikes Again! The Karu Candidacy Project: Is It A Viable Option?